Did the little town of Bethlehem exist? However, apart from the Bible, no historical documentary records of this town had been found that dated prior to the 4th Century AD. 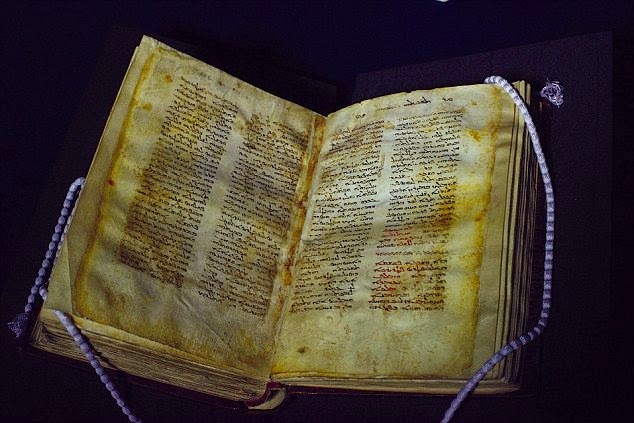 As to be expected, critics and skeptics considered this to be further evidence that the Bible was written by forgers many centuries after the alleged events. That is until 2012, when a very small object was discovered during excavation in the City of David, near Jerusalem. 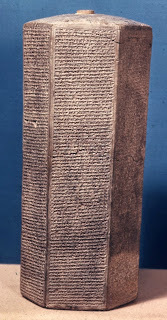 A statement was released by the Israel Antiquities Authority on May 23, 2012 describing the artifact. In the 14th century BC Bethlehem was a city-state named after the goddess Beit Lahmu. Later it was called Ephrata (Genesis 35:16) and was also referred to in the Hebrew Bible as Beit Lehem. In Hebrew “Beit” means house/home/household and “Lechem” means bread/Manna/nourishment or even battle. Commonly the name is understood to mean House of Bread. Bullae (plural for bulla) were stamped pieces of clay that were used to seal containers or documents. They were used to identify the sender or author of a document, an important method of marking ownership in ancient transactions. According to Eli Shukron, director of the excavation for the Israel Antiquities Authority, this discovery appears to show that “in the seventh year of the reign of a king (it is unclear if the king referred to here is Hezekiah, Manasseh or Josiah), a shipment was dispatched from Bethlehem to the king in Jerusalem." Shukron dates this bulla to the period around the 7th or 8th centuries B.C., during a time when bullae were used in Judah for taxation of shipments. During Biblical times, the name Bethlehem was given to two towns in Israel, one of which was in Galilee, located in the north, near Nazareth and near the Sea of Galilee. The second is in the south, in Judea, near Jerusalem. This is not unusual and does not invalidate Biblical accounts. Many examples exist today in which two or more towns having the same name are located in different parts of the country. To identify where Jesus was born, Luke records that “everyone was on his way to register for the census, each to his own city. Joseph also went up from Galilee, from the city of Nazareth, to Judea, to the city of David which is called Bethlehem, because he was of the house and family of David, in order to register along with Mary” (Luke 2:3-5). Luke goes on to record: “While they were there, the days were completed for her to give birth. And she gave birth to her firstborn son … and laid Him in a manger, because there was no room for them in the inn” (Luke 2:6-7). The journey from Nazareth to the northern Bethlehem was about seven miles which, even with Mary’s condition, may have been completed in a day. Though possible, it seems unlikely the two would have been stuck looking for an inn only seven miles from home. On the other hand, the journey from Nazareth to the town of Bethlehem in Judea near Jerusalem was about 70 miles, which fits better with Luke’s narrative. 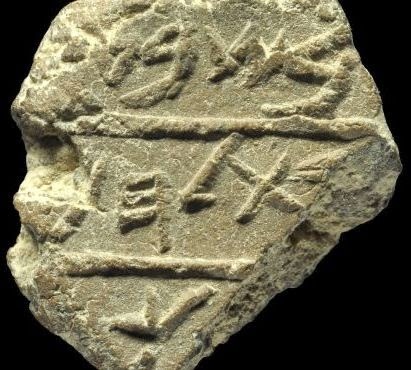 Despite the large number of Biblical references to the town of Bethlehem, discovery of the bulla is the first archaeological evidence extending the history to a First Temple Period Israelite city. In a news release, Eli Shukron, excavation director, provided an understanding of the significance of the bulla: “It seems that in the seventh year of the reign of a king (it is unclear if the king referred to here is Hezekiah, Manasseh or Josiah), a shipment was dispatched from Bethlehem to the king in Jerusalem.” He further stated, “this is the first time the name Bethlehem appears outside the Bible, in an inscription from the First Temple period, which proves that Bethlehem was indeed a city in the Kingdom of Judah, and possibly also in earlier periods.” This discovery fills a hole that had existed in the record, between about the 14th century B.C. and the 4th century A.D. It is solid proof that a town named Bethlehem existed and was large enough to be taxed by a centralized Hebrew kingdom in the 8th century. 1. Marisa Larson, “Bethlehem”, National Geographic, 11 Feb 2008. 2. Dave Miller, “Two Bethlehems”, Apologetics Press, 2003. 3. Biblical Archaology Society, “History of Bethlehem Documented by First Temple Period Bulla from the City of David”, 23 May 2012. 4. Yonah Bob, “Archaologists find first proof of ancient Bethlehem”, The Jerusalem Post, 23 May 2012. 5. Thomas L. McDonald, “First Ancient Proof of Bethlehem’s Existence Discovered”, Patheos.com, 24 May 2012. We’re not discussing the laziness everyone encounters after a large Thanksgiving meal. The questions we’re asking are: Does gratitude make us complacent or lazy? Can thankfulness be false humility or inappropriate? Robert A. Emmons, Ph.D., University of California, Davis, is considered to be the world’s leading scientific expert on gratitude. He addressed several myths and misconceptions that are common. Very few people would argue that gratitude is not a good trait to possess and practice. However, some subtle reservations creep into our thinking. Is it true that a person who is grateful may not be as motivated to change negative things in the world or improve his life? Would a thankful person tend to accept injustices, rather than attempt to make positive changes? In fact, the opposite is true. Grateful people are actually more successful at reaching their goals and have a greater sense of purpose. In a study conducted by Dr. Emmons and his colleagues, participants who were randomly assigned to keep a gratitude journal exerted more effort toward reaching their goals than those who did not. In another study involving young teens published in Motivation and Emotion, those who were more grateful performed more pro-social activities and had a desire to give back to others. A second myth addressed by Emmons is one many of us may have thought: gratitude ignores the negativity and pain in life. It seems Pollyannaish, seeing the world with rose-colored glasses of thankfulness, while people all over are suffering. This myth demonstrates a misunderstanding of gratitude. To be thankful, one must recognize a dependence on others, leading to some sense of indebtedness to others or feelings of responsibility to take care of that for which one has received. So, gratitude is not as much ignoring the negative, it is magnifying the positive. A third myth relates to a phenomenon most of us have seen – the person who appears to be overly-humble, refusing to take credit for his or her own good work. It seems to be false humility. While this may be true of a few people, a study by Dr. Emmons demonstrated that, when people were given a difficult task and given a hint to assist, they acknowledged the benefit of the hint, while also taking credit for their own work. So, it is possible to do both. Another myth is that it is not appropriate – or is even impossible – to be thankful in the midst of adversity or suffering. A study conducted by Emmons involving subjects with severe neuromuscular disorders were asked to keep a gratitude journal over a two-week period. Not only did these people who were experiencing significant pain find things for which to be thankful, they reported more positive emotions than those in a control group. Furthermore, they felt more optimistic, socially connected, and slept better. Lost Gospel Found? Was Jesus Married? Last week, The Lost Gospel was released, written by Simcha Jacobovici and Barrie Wilson. The publishers state this book details the authors’ discovery of “confirmation of Jesus’ marriage to Mary Magdalene; the names of their two children; the towering presence of Mary Magdalene; a previously unknown plot on Jesus’ life, 13 years prior to the crucifixion; an assassination attempt against Mary Magdalene and their children”. The Daily Mail reported, “If true, this would make it the greatest revelation into the life of Jesus in nearly 2,000 years.”  Is this a fifth “lost gospel” that provides additional, and even contradictory details, concerning Jesus Christ? What is the story of Joseph and Asenath? The book, The Lost Gospel, is an interpretation of a known story entitled Joseph and Asenath (also, Aseneth), dating to around the 6th century A.D. A vellum copy of Joseph and Asenath was purchased in 1847 by the British Museum and has been in the archives of the British Library for about 20 years. The earliest manuscript of Joseph and Asenath, dated to possibly as early as the 1st century B.C. was written in Syriac, but the original, earlier language was Greek. This pseudepigraphal work appears to have been written in the Jewish Diaspora of Egypt and, because of parallels with the Dead Sea Scrolls, some believe it has Essene influence. The story, which does not mention Jesus or Mary of the New Testament, is set in the time period when Joseph was in Egypt, particularly beginning with the first year of the seven plentiful years (see Genesis 41:45-49). In fact, Asenath is mentioned in Genesis as a wife given to Joseph by Pharoah (verse 45). Is Joseph and Asenath an allegory? Harry Mount, “Is this proof Jesus married and had two sons? Ancient manuscript said to be 'lost gospel' with a sensational twist”, Daily Mail, 9 Nov 2014. “Joseph and Asenath”, Early Jewish Writings, accessed online 13 Nov 2014. Jim Davila, “A new Syriac Gospel in which Jesus married Mary Magdalene? I don't think so.”, Paleojudaica.org, 11 Nov 2014. Thomas D. Williams, “Media fall for ‘married Jesus’ hoax, again”, Breitbart, 11 Nov 2014. Marcus Jones, “Lost Gospel authors claim book fits with Bible”, Premier, 12 Nov 2014. Is our universe the ultimate free lunch? Have recent astrophysical theories proven that God is not necessary? Stephen Hawking wrote, “It’s not necessary for God to light the blue touch paper and set the universe going.”  And, theoretical physicist Lawrence Krauss stated: “Forget Jesus, the stars died so you could be born.”  The publisher asserts that Krauss’ book, A Universe from Nothing, is a: “game-changing entry into the debate about the existence of God and everything that exists.” So, is it possible this universe began from nothing? This would seem to be a nonsensical question, but according to Lawrence Krauss, nothing can have many different meanings. Regarding the common notion of nothing as people read into Genesis 1, Krauss notes: “That kind of nothing turns out to be full of stuff in a way … because due to the laws of quantum mechanics and relativity, we now know that empty space is a boiling, bubbling brew of virtual particles that are popping in and out of existence … and that kind of nothing, if you wait long enough, you’re guaranteed by the laws of quantum mechanics, to produce something.”  According to the current understanding of particle physics, at the Planck length, space-time can be conceptualized as a sea of foaming bubbles, particles and anti-particles popping into and out of existence. The commonly held understanding that empty space literally contains nothing is not commonly held by theoretical physicists. Krauss explains: “Once you apply the laws of quantum mechanics to gravity itself, then space becomes a quantum mechanical variable and fluctuates in and out of existence.” So, what humans perceive as containing nothing can be very active on the subatomic quantum level. Krauss goes on to assert that, “You can literally, by the laws of quantum mechanics, create universes, create space and time where there was no space and no time before.” Here, Krauss makes a statement that is not empirically provable and is an invalid logical leap. It is impossible for experimental physicists to know with certainty what existed prior to the creation of this universe because this universe is the only data set we have to work with. The statement is also illogical because the quantum fluctuations occur within space and time that we know now. With no space and no time, there would be no arena within which the subatomic particles could function. Virtual particles operate according to the Heisenberg Uncertainty Principle, which states one cannot accurately measure a subatomic particles position and momentum at the same time accurately. So, the thinking goes, this leads to unpredictability in these particles. The same principle is applied to quantum energy fluctuations, which are also unpredictable. And, the greater energy fluctuations necessarily last for a shorter duration. Low energy fluctuations can last longer. The durations in these events are on the Planck level, vastly shorter than a second. This, of course, creates a problem with a universe that has existed for 13.7 billion years. The resolution, according to Hawking and others, is that the universe has zero net energy. Sure, there are pockets of positive energy, but overall, the net sum is zero, so they say. In the inflationary theory of our universe, matter, photons, and the like are considered to consist of positive energy. However, this is balanced out by negative energy, such as gravity. How is that, one might ask? A falling object has positive energy, but as matter is gathered to the center of a mass, such as a planet, the gravitational energy is negative. According to this reasoning, the sum of the positive energy in the universe is balanced by the negative, making the entire universe a zero sum. And, to run the inflation backward to the beginning of a zero sum universe, only a very small spark would be required to start. This is the so-called ultimate free lunch – a universe that began from nothing and has no energy. Observations in tiny disturbances in the energy levels of the electron in a hydrogen atom led Hendrik Casimir (namesake of the Casimir Effect) and Dirk Polder in 1947 to make a prediction. If the quantum foam is real, then particles should exist everywhere in space. Since particles have a wave function, there should also be waves everywhere – even in “empty” space. They used an experiment with two parallel metal plates, placed very closely together so only short waves could exist between them and longer waves would be outside the plates. Because of this imbalance, the excess of waves outside the plates should push them together. This effect was confirmed and measured accurately in 1997. So, the quantum foam is real - there are extremely small virtual particles which seem to pop into and out of existence. According to the Hartle-Hawking model (James and Stephen), if one travels backward to the beginning of the universe’s expansion, one would reach the point where there would be only space and no time. Beginnings, such as the big bang, are based on time. Since there was no time, a beginning is meaningless. With all due respect to Mr. Hawking, even zero time and zero energy do not mean nothingness. The singularity that is our universe is still something. As is the so-called quantum foam which allegedly contains a sea of extremely small particle pairs that pop into and out of existence. This “foam” is still something, even though to our measurements, it is a zero sum game. Another way to think of this is to imagine an object sitting on the ground. The object, say a rock, is not in motion and is producing no energy. It is in equilibrium with the gravitational attraction of a larger rock – the Earth. So, according to mathematical calculations, this smaller rock is a zero sum. But, no rational person would say it is nothing. While it is true that quantum fluctuations producing virtual particle pairs are observed frequently on a sub-atomic level, the big question is: From where did the virtual particle pairs originate? From nothing? That is exactly what appears to happen, but a very well established physical law states that an effect always has a cause. We know this from life experience – nothing happens without being caused in some manner. Because current observational methods are incapable of detecting the state of these virtual particles prior to “popping” into existence, it does not mean there was nothing at all. We simply are not able to observe what came before. It is inaccurate to assume that since I cannot see something, then that something must not exist. Whether these virtual particles are comprised of strings (one dimensional) or branes (two dimensional), and seem to come from nowhere, this does not rule out an intelligent creator. This simply pushes the origin question farther back. From where did the strings or branes (comprising virtual particles) originate? Any explanation, even by those as brilliant as Hawking and Krauss, requires something to start with. To claim that random quantum fluctuations in a sea of dark energy seem to pop into and out of existence still requires something to emerge from nothing. The best explanation for that phenomenon is an intelligent creator who is outside of the laws of physics. There seems to be a very common misreading of the Bible these days. Inexplicably, many people reach a mistaken conclusion that, if modern science comes up with some new theory to explain human origins, then the Bible must be wrong and there’s no God. I challenge anyone to find that in the Bible. Even Krauss himself falls into that faulty logic: “There are many seeming ‘miracles’ of nature that appear so daunting that many have given up trying to find an explanation of how we came to be and, instead, blame it all on God.” (Lawrence Krauss, A Universe from Nothing, p. 12) The reasoning is that, since we, the educated modern humans, have discovered how some physical processes operate, we are now able to demonstrate that unsophisticated, primitive theists erroneously invoke a deity in matters with which they are ignorant. Gaining more understanding of the creation does not eliminate the Creator. The first few verses of the book of Genesis state, as most people know very well, “In the beginning God created the heavens and the earth. The earth was formless and void, and darkness was over the surface of the deep, and the Spirit of God was moving over the surface of the waters. Then God said, ‘Let there be light’; and there was light.” Where in those verses does the Bible explain how God created? Where in those verses does the Bible state God did not bring about the universe via a quantum foam or subatomic “strings”? The point is, none of the new theoretical physics disprove God or the Bible – despite statements to the contrary by Krauss or Hawking. They are making an invalid logical leap based on a faulty reading of the Bible. We must be careful not to turn the Bible into a particle physics textbook. That’s not to say the Bible is inaccurate or outdated; rather, it simply does not explain the details of how God completes His purposes. Many people in the 21st Century have reached the invalid conclusion that, if something can be explained, then God must not have done it. And we should keep in mind that, in the area of theoretical particle physics, explanations of the big bang are still highly speculative. Stephen Hawking and Leonard Mlodinow, The Grand Design, (Bantam, 2012). Lawrence Krauss, A Universe from Nothing, (Atria Books, 2013). Lawrence Krauss, Life, the Universe, and Nothing lecture, 2012. Hugh Ross, “A Universe from Nothing? A Critique of Lawrence Krauss’ Book”, Reasons to Believe, 12 Apr 2012. Don Lincoln, “Quantum Foam, Virtual Particles and Other Curiosities”, PBS Nova, 23 Oct 2012. The Bible provides an account of the siege of Jerusalem by Assyrian King Sennacherib during the reign of Judah’s King Hezekiah. In fact, it is mentioned in several locations in the Old Testament: Isaiah 36-37, II Kings 18-19, and II Chronicles 32. The siege occurred in the 14th year of Hezekiah’s reign, which placed it around 701 B.C. However, there was no extra-Biblical evidence of these events, so critics could dismiss the account as Hebrew mythology – until 1830. Though historians and scholars may dismiss the supernatural explanation provided in the Bible, a written account by the enemy and invading army certainly lends credence to the historicity of the battle. This is yet another example of later evidence confirming what the Bible had written thousands of years before. The Taylor Prism, The British Museum online, accessed 8 Oct 2014. Randall Price, The Stones Cry Out, (Eugene, OR: Harvest House Publishers, 1997), 272-274. Sennacherib Prism, University of Texas, Translation Adapted from Luckenbill (1924:23-27). Church leaders in Iraq have called for a day of prayer on August 6th for Iraqi Christians who have been forced to leave Mosul, where the Islamic State (ISIS) issued an ultimatum: convert, leave, pay the jizya, or die. 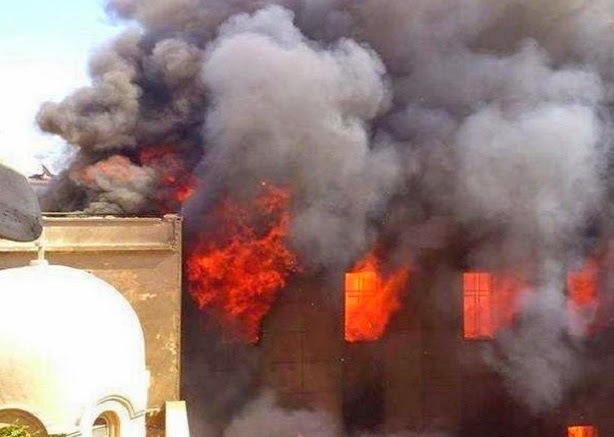 An estimated two million Christians lived in Iraq in the 1990s and church leaders estimated that figure plunged to around 200,000 by last year. The figure now may be zero, at least in Mosul. Mosul is located on the Tigris River, opposite the former site of Nineveh, most populous city of the ancient Assyrian Empire. Nineveh was located at the intersection of important north-south and east-west trade routes. The Prophet Jonah preached to the Ninevites during the reign of Jeroboam II (793-753 B.C.). The penitence of the Ninevites was not enduring; about a century later Nahum prophesied their destruction and, in 612 B.C., the city was destroyed. On June 10, ISIS entered Iraq’s second largest city and declared an Islamic Caliphate. On July 19, the Sunni Muslim insurgent group ordered Christians to leave. ISIS leader Caliph Ibrahim declared possessions of the unbelievers “property of the Islamic State” and confiscated cars, cell phones, cash, and even wedding rings. These were some of the last Christians to speak Aramaic, the native language of Jesus. Around 30 churches were seized, with some turned to mosques or burned. Other religious sites were destroyed. The Vatican reported that the Orthodox Christian community successfully spirited away the relics of Thomas the Apostle who, it is said, introduced Christianity to Nineveh. The Kurdish Regional Government issued a statement welcoming the Christian exiles and calling on Kurds to assist those who have been displaced. The last Christians in Nineveh may have turned out the light. 1. Eve Conant, “Q&A: Why Sunni Extremists Are Destroying Ancient Religious Sites in Mosul”, National Geographic online, 2 Aug 2014. 2. Jonathan Krohn, “Has Last Christian Left Iraqi City of Mosul After 2,000 Years?”, NBC News, 27 July 2014. 3. Col. (ret.) Dr. Jacques Neriah, “The Islamic State Ends the Centuries-Old Christian Presence in Mosul, Iraq”, Right Side News, 4 Aug 2014. 4. “Nineveh”, Encyclopaedia Brittanica, updated 4 Apr 2014, accessed 4 Aug 2014. It has been almost two years since the “God particle” was found and almost ten years since the “God gene” was allegedly found. Further research into the Higgs Boson seems to confirm the original reports from 2012. However, the God gene hypothesis has not fared so well. In nearly ten years, no studies have confirmed the existence of a genetic basis in humans for belief in the supernatural. The so-called God gene discovery began in 1998, when Dean Hamer, geneticist at the National Cancer Institute, was conducting a study of cigarette smoking and cancer. As part of the study, a standardized 240-question personality test was given to 1,000 subjects entitled the Temperament and Character Inventory (TCI). Among others, one of the traits measured was self-transcendence, or the ability to lose oneself in an experience. (Why this was included in a study of cigarettes and cancer is not clear.) Hamer then branched off this study to spirituality and began to examine particular segments of the human genome. He narrowed the field to specific genes that play a role in the production of monoamines, such as serotonin, and norepinephrine and dopamine. These regulate functions such as mood and can be manipulated by antidepressant psychotropic medication. Hamer noticed that volunteers who scored high on the self-transcendence test had a variation in a gene known as vmat2 – vesicular monoamine transporter. Those with the nucleic acid cytosine in a particular location on the gene ranked high on the personality test and those with adenine in this location ranked low. Even Hamer pointed out that the human genome and personality are complex and a single change in one position of a gene would not likely be the sole determining factor, stating “"The specific gene I have identified is by no means the entire story behind spirituality”. Nonetheless, in 2004, Hamer published a book titled The God Gene: How Faith is Hardwired into Our Genes. It should be noted this is not the first time Dean Hamer has made the news. In 1993, he created a media splash when it was reported that he found a genetic basis for male homosexuality. He found a marker in the Xq28 region of the X chromosome on an allegedly statistically significant percentage of those subjects tested. However, in more than 20 years, no other researchers have been able to replicate the study. Those who are genetically predisposed – or as Lady Gaga would sing “born this way” – will tend to believe in some higher power or spirit world and those who lack the genetic marker will probably not believe. So, what would be the logical conclusion of this line of reason? First, this means a real god is less likely since belief is simply a genetic tendency, probably left over from our evolutionary survivalist past. Second, non-spiritual persons are less likely to be culpable for any moral failures since they are simply acting as their godless conscience leads. If a marker could be found for belief in God, would that be a form of genetic hyper-Calvinism, in which some people are predetermined to believe and others to not believe? Are some people more predisposed toward some type of spirituality due to genetics, environment, or both? Probably to some degree. In the same manner, some people may be more prone to alcoholism, altruism, or violence. A predisposition has no bearing on truth or morality. Altruism is good and violence is generally not. Similarly, God exists regardless of a variation on a gene in my body. Human free will is not negated by genetics. As stated by Nobel Laureate Francis Collins, head of the Human Genome Project: “Heredity does have an influence not only over medical risks but also over certain behaviors and personality traits. But look at identical twins, who have exactly the same DNA but often don't behave alike or think alike. They show the importance of learning and experience—and free will.”  Collins plainly stated, “There is no God gene”. Dean Hamer’s study would be intriguing, if statistically significant and repeatable. However, his findings were not subjected to peer review, have not been replicated, and the conclusion appears to be invalid. Jeffrey Kluger, “Is God in our Genes?” from TIME Magazine, October 25, 2004. Dean Hamer, Stella Hu, Victoria Magnuson, Nan Hu, Angela Pattatucci, “A linkage between DNA markers on the X chromosome and male sexual orientation”, Science, Volume 261, No. 5119, July 16, 1993, 321-327. Carl Zimmer, “Faith-Boosting Genes”, Scientific American, October 2004. John Horgan interview, “Francis Collins: The Scientist as Believer”, National Geographic, February 2007. One of the oldest stories in the Bible concerns the Tower of Babel. Some people today question whether it is simply a myth, with no other evidence outside of the Bible. But, like numerous other events recorded in the Bible, there are historical and archaeological records – from non-Jewish sources – which corroborate the Biblical record. It is written in Genesis 11:1, 7-8: “Now the whole earth used the same language and the same words … let Us go down and there confuse their language, so that they will not understand one another’s speech. So the Lord scattered them abroad from there over the face of the whole earth; and they stopped building the city. Therefore its name was called Babel, because there the Lord confused the language of the whole earth; and from there the LORD scattered them abroad over the face of the whole earth.” (Genesis 11:1, 7-9) The word babel in ancient Hebrew means “confusion”. At least two Greek historians mention this tower. One was Herodotus (ca 484-425 B.C.) in his work Histories. He describes a massive tower in Babylon consisting of eight stages and is surrounded by a ramp. Herodotus stated the length of the base tower is a furlong (about 200 meters or 600 feet). A second Greek source, Diodorus Siculus, also mentions the tower (Book II, 7-10). Abraham roughly prior to 2000 B.C., so this fits with dating of the tower as prior to about 2350 B.C. How much prior is difficult to determine since Biblical genealogies are known to contain gaps, making the time periods longer – maybe much longer - than they might initially appear. John H. Walton, Professor of Old Testament at Wheaton College, describes a historical setting for the culture at that time which was conducive to building of such a structure. For example, baked brick technology was used around 3100 B.C. And, development of the ziggurat was used in the early Dynastic Period, ca. 2500 B.C., with early prototypes dating back to the late Uruk period, ca. 3500 B.C. So, the Biblical narrative describing building of this tower is well corroborated by extra-Biblical lines of evidence. Likewise, is it possible God only needed to confuse the languages of those people living in the Mesopotamian valley region to accomplish His purpose? Perhaps the events recorded in Genesis 11 concern only the people living in the Mesopotamian region during that time and not people groups living in very disparate regions of the globe. In the third millennium B.C., there was no method of communication between people of the Middle East and people of the Americas other than a very long camel ride. The “whole earth” or “whole land” during the time of Moses and Abraham may have encompassed what the people knew of, not very distant lands of which they had no knowledge and no communication. Jona Lendering, “Etemenanki (Tower of Babel)”, Livius: Articles on Ancient History, accessed 1 Jan 2014. The Schoyen Collection, “History: Babylonian”, MS 2063, website accessed 1 Jan 2014. Iselin Claire, “The ‘Esagila’ Tablet”, Louvre Museum, website accessed 1 Jan 2014. Henry H. Halley, Halley’s Bible Handbook, (Grand Rapids, MI: Zondervan, 1965), p. 83. 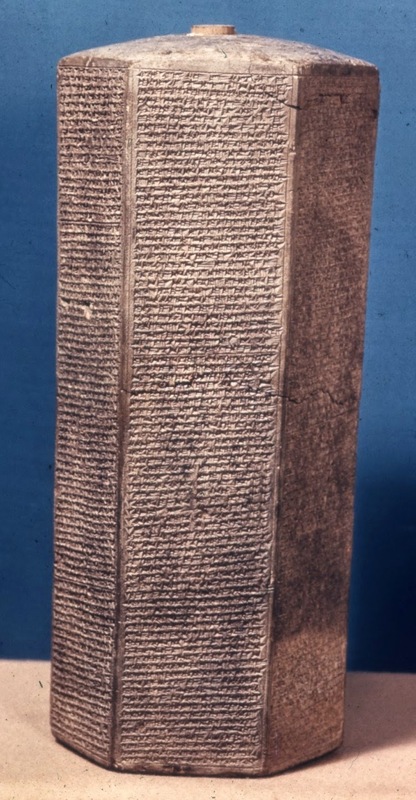 John H. Walton, “Is there archaeological evidence for the tower of Babel?”, Associates for Biblical Research, written 10 May 2008., accessed 1 Jan 2014. Hugh Ross, The Genesis Question, (Colorado Springs, CO: NavPress, 1998), 142-143.